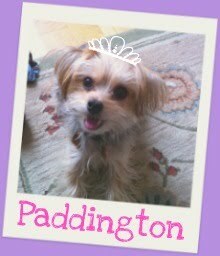 Barkzilla: A Savvy NYC Dog Blog: Let Them Eat Puppy Cake! 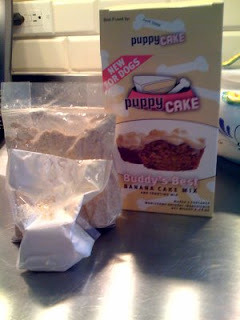 Never before has it been this easy to bake a special treat for your pup! 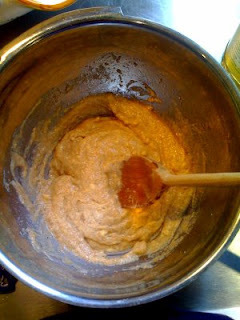 Similar to cake mix for humans, just add the simple ingredients (water, oil, and egg), bake, frost and voila- delicious! We set out to try Kelly's banana cake mix during a weekend trip to visit our family, and can't tell you how much of a hit it was! So easy- two bags of mixes, what more could you ask for? Needing only 1 egg, water and oil- it was easy to find all the necessary ingredients already in our kitchen. All of the ingredients mixed together! We're pretty sure we saw actual chunks of banana in there- mmm. Okay, and so were we- I had stop one human kitchen visitor from stealing a cake from the cooling rack they smelled that good. 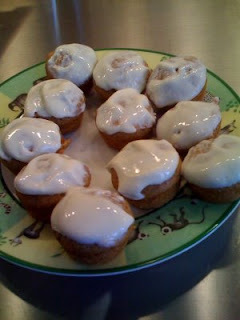 While you can go for full-sized cupcakes, we opted to make minis. 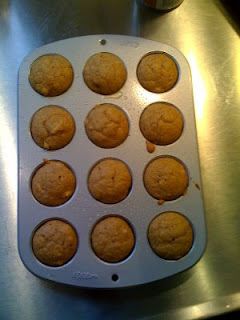 Don't forget to alter baking time if you decide to use a different sized pan! After waiting for the cakes too cool, we frosted- just mix the enclosed yogurt powder with water and you're done: the final frosted product! Our test audience couldn't wait to try out these treats and was thrilled that we'd go to the effort of baking something just for them. Just don't tell them that it was so easy! 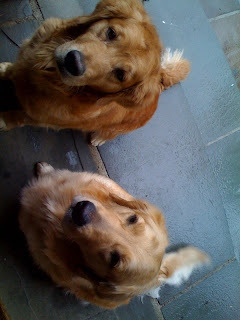 While we didn't taste the cakes (so maybe...we had a little crumb from a non-frosted cupcake)- our four dog crew devoured them in a flash. Even Paddy, Queen of the Picky, didn't sniff her cupcake twice. Every little speck was gone and we wish we had been able to get a picture of the frosting covered faces and noses (sadly they were licked clean too quickly). 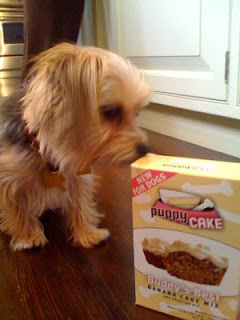 We hope you enjoyed our review and will visit Kelly's site and treat your pups to her delicious cakes! The packaging also gets major kudos- we're definitely planning on stocking up! 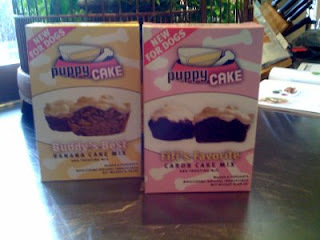 Each mix retails for a very reasonable $6.99 from Puppy Cake. Disclaimer: This review was originally posted in 2009 on our former site, but has been updated. Samples were provided by PR for review. Please see our disclaimer for more information.